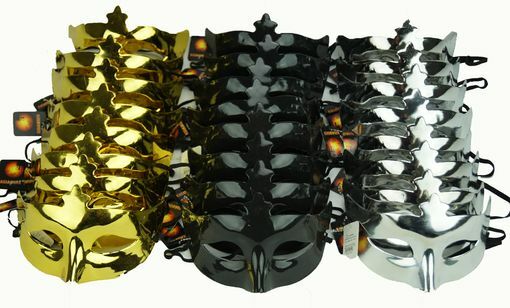 New Years mask party pack comes with 24 assorted color masks. Masks have a high gloss finish and come with elastic ties. Masks are made of a hard durable plastic.